According to the Centers for Disease Control, nearly 800,000 Americans suffer a stroke every year. Stroke is the leading cause of long-term disability in the United States. When medical professionals fail to recognize, prevent and treat stroke, patients can suffer permanent brain injuries that are life-altering for them and their families. Just as a person who has suffered a stroke needs specialized medical care, a person who has a stroke lawsuit needs specialized legal representation. 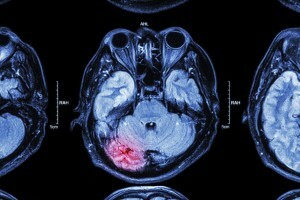 Obtaining the optimal recovery in a stroke lawsuit requires representation by trial lawyers with the expertise and experience in the medical and legal issues surrounding stroke. Our Stroke Litigation team led by attorneys Matt Sowell and Fadi Chakour, M.D., are national leaders in their field dedicated to helping stroke victims and their families. They have obtained numerous multi-million dollar verdicts and settlements for victims in incredibly complex stroke cases. Matt Sowell is the founding chairman of the Stroke Litigation Group for the American Association for Justice, the country’s largest trial attorney organization, and regularly consults with other plaintiff’s attorneys about stroke cases. Fadi trained as a surgeon before giving up the practice of medicine for the practice of law to help families harmed by negligent medical care. The first words we usually hear from potential clients go something like this, “I’ve never thought about suing anyone before.” The devastating financial effect stroke has on a family can, by itself, force them to seek legal help. The financial consequences of stroke can crush a family. There are unbelievably expensive medical bills. Stroke survivors also require expensive therapies, supervision and assistance for the rest of their lives. The principal breadwinner may no longer be physically able to work or must miss work to help care for the stroke survivor. Simply put, the stroke victim is unable to resume their expected role in society or their family. A husband who focused on caring for his family is frequently left totally dependent on others. Roles are reversed. Children now supervise and assist a parent. A husband or wife becomes more like a child than a spouse. 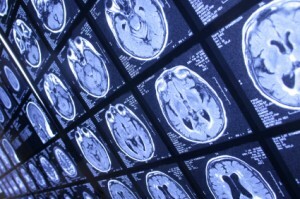 Gather and analyze the medical records and neuroimaging studies. Interview eyewitnesses who have knowledge of the stroke victim’s history immediately prior to the stroke. Review the stroke victim’s medical records and neuroimaging with physicians with expertise in acute stroke care. Determine if appropriate stroke care was provided. Determine if appropriate stroke care would have made a difference if provided in time. Analyze the damages caused by the negligent stroke care. Advise you of the strengths and weaknesses of pursuing a claim and help you decide if a lawsuit will produce a meaningful recovery. Drunk, Stoned, or Having a Stroke: Can the doctor or nurse caring for you tell the difference?